Just wanted to pop in here with a 10 minute card. Sometimes the really quick ones turn out adorable. 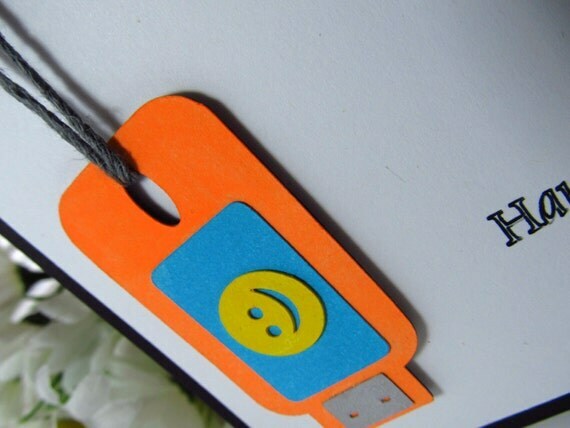 This little thumb drive with his smiling neon face just makes me smile. The whole card was created with Silhouette Cameo and Radiant Neon Electric Blue, Yellow & Orange inks (Imagine Crafts/Tsukineko). On Fridays I like to recognize the newbies to this blog. Incredible design!! Just visited your card shop ... awesome!! You are even more amazing than I thought!!!!!! WOW!! wearing a mega-watt smile after seeing this adorably simple happy card!! Looks so fun!! Adorable card! Such a fun design!! 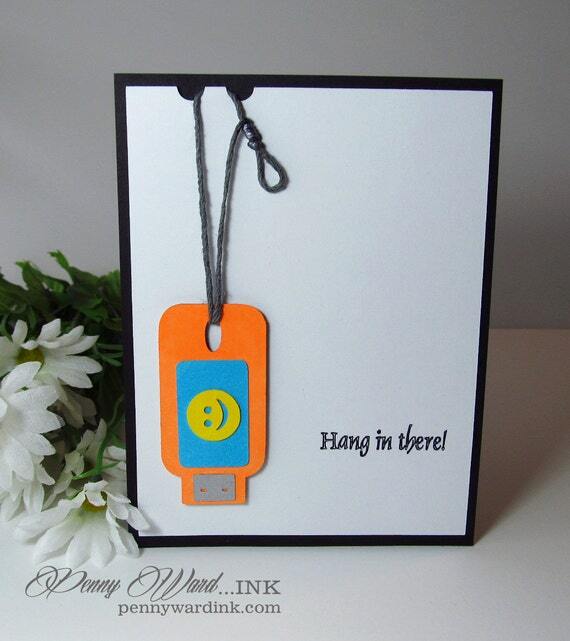 Such a cute idea with the thumb drive. Must use this for my geek Son-in-Law! Thanks for a cute idea!